An exquisitely detailed portrayal of settlement Australia in the 1800s, Black McIntosh to Gold spans a century as it traces a family’s migration from a fishing village in the far north of Scotland to the goldfields of New South Wales. One after another, members of the McIntosh clan are called to make the journey into unknown territory where dreams of happy families, workable land and perhaps even gold await. Steeped in research and laced with the magic of folklore and the mystery of The Sight, a gift – or perhaps, curse – of visions passed along the generations, Black McIntosh to Gold is a fully ripened cultural experience of the ancestors. This elegant and dramatic history offers a clear window into the birth of Australia. It gives voice to the country’s founders, to determined men, women and children who came to Australia hoping for opportunity and a better life. 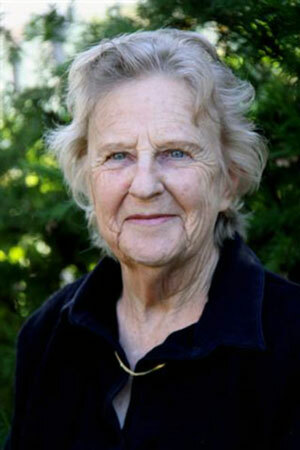 Lois Shepheard was born in New South Wales to a father from Scotland and a mother descended from Scots. Lois was sent to learn the violin to play reels and hornpipes, and became a professional musician. Her lifetime in music included study at the New South Wales State Conservatorium of Music and the Talent Education School of Music, Japan. She has played in the Sydney Symphony Orchestra and was a lecturer at the University of Melbourne and the State College of Victoria Institute of Early Childhood Development. For a time, she was Professor of Viola and Director of the Suzuki Program at Western Illinois University in the US. In recent years, Lois was introduced to the fascination of family history. As she looked into the lives of her ancestors, she realised that each was a tale waiting to be written. Lois’s first book on things Scottish won the 2011 IP Picks competition for creative non-fiction. This great, great, great granddaughter of Black McIntosh from Scotland’s Black Isle, has a son and two grandsons in Melbourne and a daughter in Cologne, Germany. I have recently finished the beautiful book, Black McIntosh to Gold. I just couldn't put it down and finished the read in a day and half! I have a strong interest in family history so thoroughly enjoyed reading the insight into the McIntosh family’s settlement in and around Braidwood, NSW. I loved reading the ancestors’ long journey from Scotland and their strength and resilience in settling and working in Australia. I adored the anecdotal nature of the romances; adventures and family events conveyed so vividly. I would recommend this book in a heartbeat. Most enjoyable for anyone interested in family history and the experience of migrating to Australia - an excellent read! In this book I got to know all of these people so well, as I entered the lives and the times of a Scottish family in their village, and their transition from Scotland to early Australia. But it is far more than that. It is an accurate documentation of critical historical and political events in both countries, and how these events affected real people. 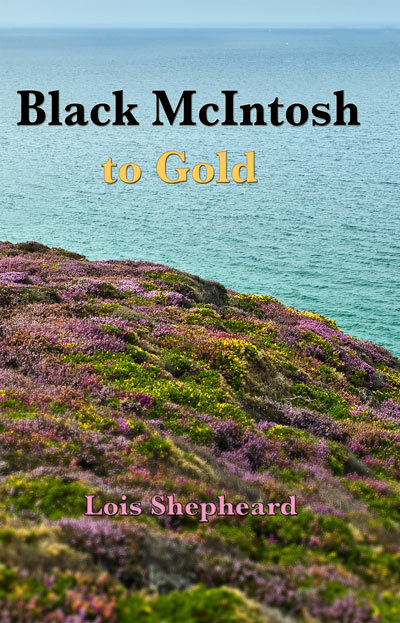 Black McIntosh to Gold is a wonderful story of love, determination, wonder and intrigue, success and sadness. Lois, I enjoyed your book, a wonderful, colourful story of our pioneers. I think the women the bravest of the brave, knowing the area and distance from hospital, doctors, chemist – and no disposable nappies! Congratulations on a job well done. This story set around a Scottish family and their emigration to Australia uses fact and fiction, interwoven with folklore, to form a compelling tale of relationships, the trials of life and the hardship of starting again in a foreign country. Elspet McIntosh had “The Sight” (more correctly called “The Two Sights”) and those who have it can see both the present and the future at the same time. When the villagers asked her if the Lady McNaughton would reach New South Wales safely, she hadn’t been able to reassure anyone. So far, The Sight had told her nothing. She wondered if a vision would appear as their boat passed Chanonry Point. She was always a little uncertain of her gift. In fact, some called it a curse. She remembered the story of the Seer of Brahan who dreamed the laird would be unfaithful to his wife. When he told that good lady what was going to happen, the seer was boiled in oil in a spiked barrel for his trouble. Of course all that happened a long time ago. But that awful death had occurred at Chanonry Point. There in the daylight, as the cormorants dive, the shags soar and the dolphins play, no one need remember the seer’s agony. By night though, it is a dreadful place. When the clouds cover moon and stars, and the wind howls, then the spirit of the seer is abroad, wandering in its state of eternal pain. This night, Hugh rowed without moon or stars. Their boat pushed through filmy blackness and Elspet searched the sky in vain for a chink of moonlight. She could barely make out the shapes of her children huddled together in the bottom of the boat. She listened to the rhythm of the oars splashing into the dark water and rising to drip back the black drops they’d borrowed. She listened to the accompanying creak, creak, creak of the rowlocks. Was that a shaft of white light shining from behind her, unfolding across the water’s surface? The wind dropped and at once the sea was mirror-smooth. Startled, Elspet turned toward the mouth of the Moray Firth and the source of the beam. Was it the outline of a huge sailing ship hovering above the white sea? ‘Och, dear Lord, is this the future?’ she whispered to herself. The mysterious ship floated toward her, gaining speed as it approached and Elspet watched with apprehension. At times it seemed just a skeleton and she peered through its ribs to white water beyond. It drew alongside and her children stirred in their sleep, moaning softly and clutching each other tightly. Elspet looked up at the great apparition. Were there little faces looking down at her, becoming clearer and glowing white as they reflected the water? Elspet trembled. She looked up fearfully, yearning for a message. Could she detect the faintest hint of a bagpipe drone on the light breeze? As the huge ship passed their rowboat, the music of the pipes grew to a gloriously full, triumphal anthem and Elspet heard the unmistakable sound of jubilant cries from the passengers. And as suddenly as it had appeared, the ship was swallowed by the pitch black night. Elspet could hardly contain her exhilaration and her gratitude for the vision. If she could have easily knelt in their little boat, she would have prayed. She was glad there was no moonlight and that it was far too dark for Hugh to see her tears. She’d be able to reassure all her friends that the Lady McNaughton would arrive in New South Wales, safe and sound. Hugh rowed on, entirely unaware. Sandy and his sister were in the deepest sleep in the bottom of the boat. Elspet clutched her baby ever so tightly to her bosom. When they pulled into the beach at Avoch, Hugh gently lifted his two older children in his great arms and carried them across the pebbles to their cottage next to the sea wall. Elspet, still brimming with relief, followed with her infant. That night, Sandy McIntosh woke in fright. ‘Oh, Mither, I were in New South Wales and Faether Christmas couldnae find me,’ he sobbed. Comforted, Sandy slept as the wind howled round the village. He dreamed contentedly of a land far across the sea where oranges lay everywhere amongst the heather, his for the taking.